Note:This is a back up page to prevent disruption by Japanese administrators. Please DO NOT delete it no matter what they say. Important note:I know very well that the admins of Japanese Uncyclopedia will probably delete this page, so I have uploaded the images on UnCommons, and have created a backup on UnMeta, UnCommons, and the English version. I have also sent this content as an English e-mail to Carlb, the owner of this wiki. Important note:The conclusion based on statistics is that the (non)appearance of Muttley and SHINJI has matched in a significantly unnatural (or unlikely) manner. 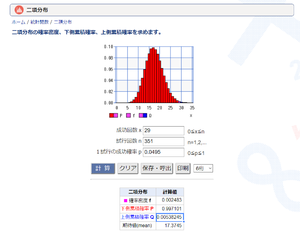 I will also add images, formulas, and graphs that will be the evidences for it. 3 Did you know: that admins could get corrupted? I would like to request for checkuser against these two users for the following reasons. 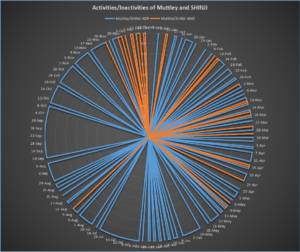 I have made a research on following topics, based on contributions and logs of Muttley and SHINJI (M log・M contributions・S log・S contributions) and Muttley's self report on using this checkuser permission. The (non)appearances of Muttley and SHINJI from January 1st, 2018 to December 18th, 2018. The duplication and continuity of their appearance on days when they both appeared. Figure 1. The blue line of the outer circle shows their matches on appearances and nonappearances, while the red line shows the days in fact they both appeared. Where there are only blue lines shows they both didn't appear on that period. Though it is provided on the logs, I want to point out several remarkable things. Apart from their apperances matching unnaturally, though they don't appear very often. Mar. 24th, Apr. 23rd, Dec. 2nd, etc. - They tend to be making alibis on days both of them are quite active, by intentionally mismatching the time line when they appear. In addition, on Nov. 24th, the day when they started to massively purge accounts, they are again both active, but with a different time zone. This is another alibi to avoid using the account Muttley (which are very often attacked by what they claim to be LTAs) so that they can appeal to the public that there had been abuses. Since there are statistically unlikely matches on their (non)appearances, it seems that the two users, even if not identical (sockpuppets), are likely to be meatpuppets. It's only a supportive evidence compared to the statistical data, but there are other similarities. One is their signatures. Both of them use colored letters for links. Their signature's full structures are both User page / User talk page / Contributions. Also note that many, if not all, of these points also apply to ja:User:シュヴァルツ, ja:User:Only Sí, ja:User:.Trashes, and many other so-called LTA accounts. Werid coincidence, isn't it? Both of them not only despise LTAs but also say negative words like stupid or intentional. I don't deny that LTA is a fool, but deliberately expressing it can be seen significantly only with these two admins. I will put this case as I remembered what happened when looking the logs. There was an account called リクシー, who was blocked as a sockpuppet of Muttley on Enpedia, and another account claiming the same thing on Ansaikuropediaand also weirdly referring toでみ庵 and 扇町グロシア, which Muttley did as well, both thinking that they are accounts used by the same person appeared soon later. It was SHINJI who blocked the user as LTA:KOSHIN, but it took a while before he actually added it. Given that a CU can immediately found out whether the account is that of an LTA but he didn't until March 11thIt is quite likely that the account was used to manipulate the view provided by Enpedia by taking advantage of the fact that CU results can never be confirmed from outside, in order to put Muttley's charges down and make it one of what the LTA has done. Question:Why did SHINJI do such an action? ↑ for what he claimed, see this. He claims that rxy, a Steward on WMF is a cross-wiki LTA. Did you know: that admins could get corrupted? To close this topic, why not check out what has happened across the world? The belief that admins will never abuse their permissionx is wrong. I don't necessarily say that admins are actually vandals, but abuse is quite common on wikis. A user being an admin doesn't mean they can be trusted. By the way, Muttley himself asked on 扇町グロシア's talk page saying "でみ庵 should be watching this." Weird, isn't it? Both of them are admins, and that may be another abuse after all. I may have a research on this when I'm available. Anyways, here are some known examples of abuse in the past. 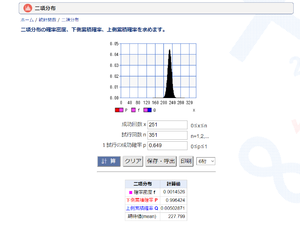 ja:User:七星 - Well, this is a well known Japanese case, and I don't think I need to explain it to the Japanese users. However, for English users, I will tell you that this ex-admin has abused and vandalized the Japanese Uncyclopedia, after he was fired. zh-hk:User:天之驕子 - They have performed an vote using multiple accounts (which is banned by the rules), and has abused the permission, resulting in firing them. The user has been resistered as a vandal, but it seems that the main account seems to be kept alive for unknown reason. pt:User:Rhubella Marie - A well known staff on UnMeta, UnCommons, the Galician Uncyclopedia, etc, but has been blocked on the Portuguese Uncyclopedia for using another account, pt:User:MarceloRenard2 (both of them have been banned). This page was last edited on 20 January 2019, at 03:25.